Good morning all, I hope you are having a lovely weekend. Today I would like to share with you my latest project for Dragonfly Dreams. The challenge this month is Spring is in the Air. 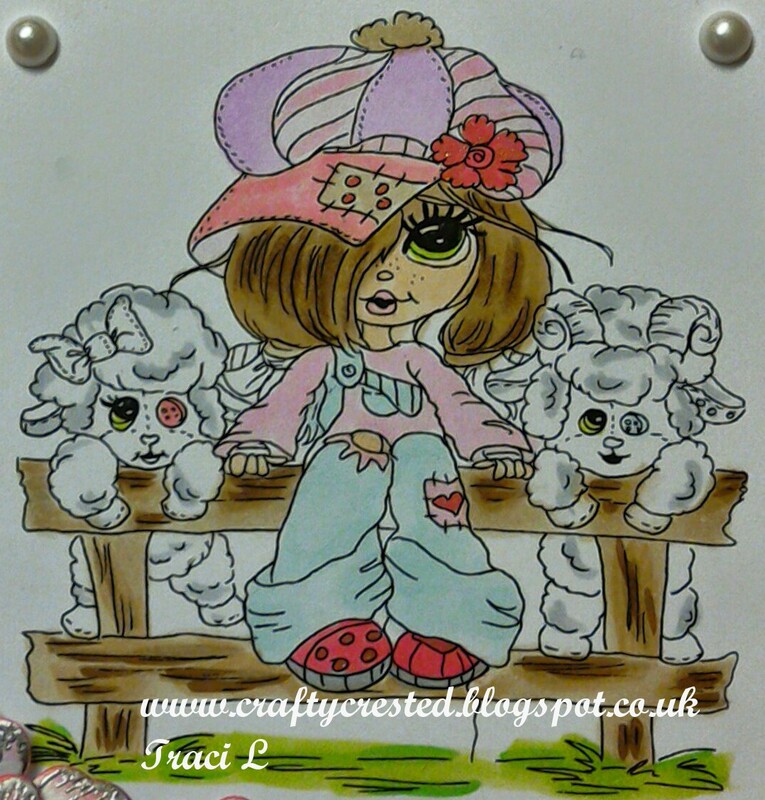 The image I used is Rory and her Sheep from Lacy Sunshine. Sweet card! 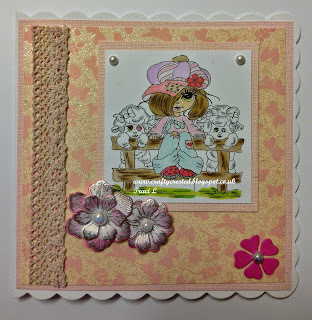 Thanks for sharing at Crafty Gals Corner! 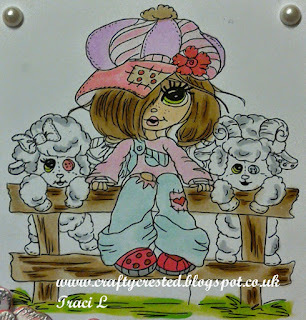 Adorable card, such sweet little lambs and perfect for our 'spring Is In The Air challenge. Thank you for joining us at Chocolate, Coffee & Cards! What a cutie of a card! Oh my goodness, talk about precious!!! Love your image, so sweet. What a gorgeous layout too. Thanks for joining our spring challenge at Imagine That's Creative Playground. What an adorable image. Your card is just precious. Thanks for joining us at Imagine That's Spring theme, Lisa Lynn DT. Your image is so adorable! My sister-in-law used to have a hat like that way back when! Love the papers you used! Adorable image, great coloring and beautiful flowers! Thanks so much for joining us at Robyn’s Fetish challenge! I hope you’ll come back again soon! 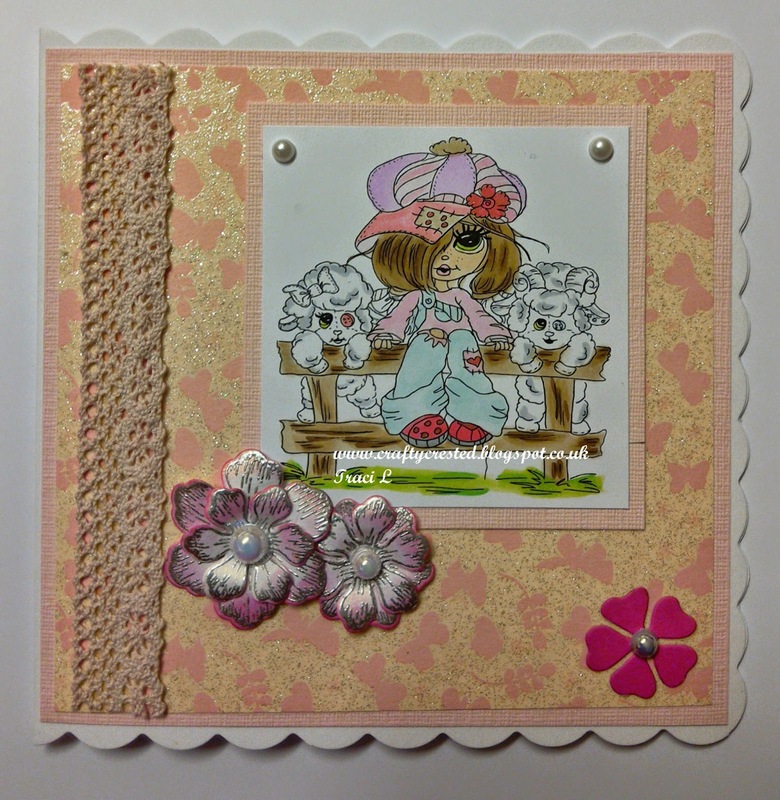 Love the stamped flowers. The lace is beautiful and adds a wonderful finishing touch.